For years I used a teaspoon to make drop cookies. It worked okay ... until I used a cookie scoop. L-O-V-E it. See what I mean. 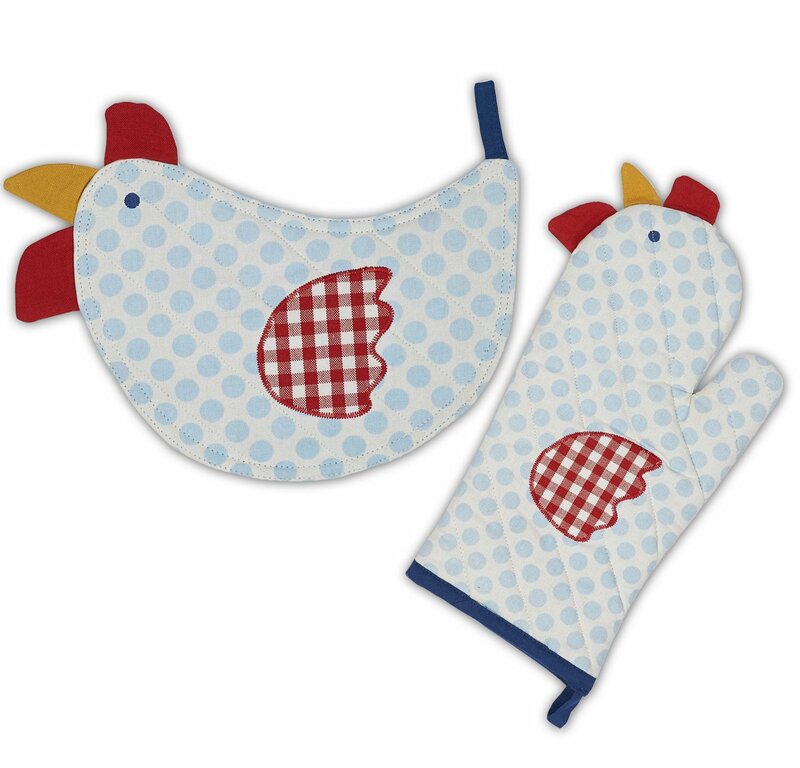 Check out the best-selling and most popular cookie scoops and ice cream scoops used by bakers like you. Take a look. You use maraschino cherries on your hot fudge sundae. But you gotta try this. Put them in Cherry Coconut Cookies and swoon. Maraschino cherries are bright red, flavored with sweetener and almond flavoring, and processed in sugar syrup. When chopped and added to cookie dough with coconut and pecans, the cherries add a colorful touch to these delicious, fruity cookies. They are just one type of cherry you can use in cookie recipes … and a good one! 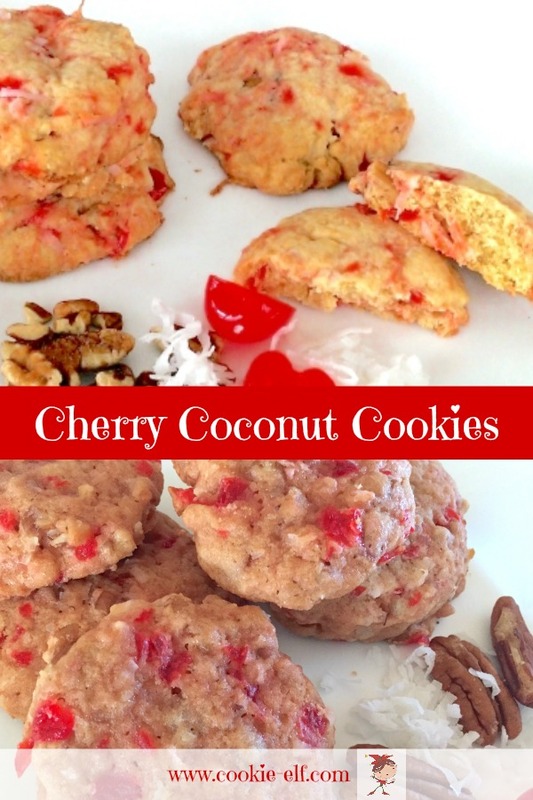 Get the full recipe for Cherry Coconut Drop Cookies … and discover other types of cherry cookies on The Elf’s Cherry Cookies Board. One thing I like to do is regularly check Bluprint’s free classes listing. Have fun. I know I will. 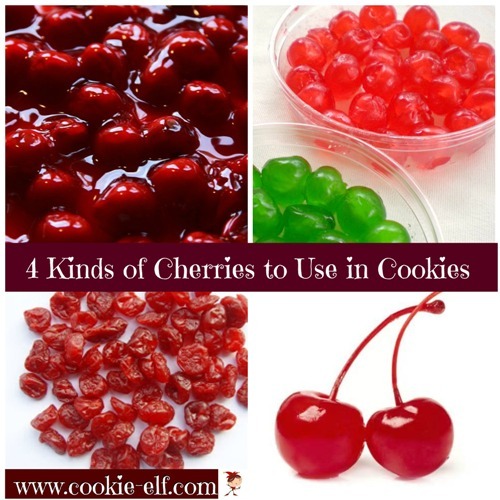 Get more info on different kinds of cherries in cookie recipes. And see more helpful cookie baking tips on The Elf’s Baking Tips Pinterest Board .